The K-show has already entered the countdown stage. Are you get ready ? The K-show has already entered the countdown stage. Are you get ready ? K2016 will be October 19, 2016 officially kicked off, will attract more than 3,000 exhibitors competing, will become the ideal platform for business and business exchanges. 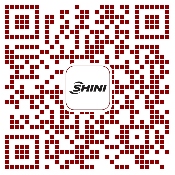 The Shini Group will bring a number of innovative products to intelligent energy-saving products as the core debut K2016, booth 11B57, K2016 for your visits! Modular products are practically widespread in modern industry. They can flexibly meet users’ actual demands with best economic and reasonable way according to their practical needs. Auto allocation technology of drying air capacity features that drying air of -40℃ is able to be allocated to each drying hopper automatically according to demands via. auto control system, which realizes reasonable use of drying air for reducing waste and avoiding over or lacking drying of materials.“One-to-three” dehumidifying and drying assembly SSMD consists of a rotary dehumidifier and three sets of modular drying hoppers. Those hoppers are set on the floor stand which is modularized assembly. The drying air comes out from the outlet of the rotary dehumidifier and goes out through the main pipe. Then, the drying air is sent to different drying hoppers via. the branches of the main pipe. After finishing drying, hot air will come out from the air exhaust outlet and then go back to the air return pipe. At last, it will go back to the rotary dehumidifier. During this process, this machine is capable of auto adjustment and allocation. There is an air flow transmitter and air regulator at each branch pipe which enters into drying hoppers. The air flow transmitter is for detecting air capacity changes and sends the related information to the central control unit which controls the air regulator to realize auto adjustment and allocation.